Here in MD, we only get a few snowfalls that actually stick each year. 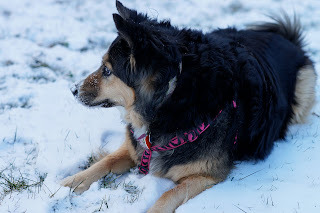 When that happens, I can't help but grab my camera, because Cara just LOVES the snow! See the snow all over her nose? She's too cute!